Millions of us have experienced periods of low morale, struggled to find cheer in the day-to-day world, and then found ourselves pacified into believing the smooth-talking spokesperson in yet another medication ad. We’ve all heard them, there’s no denying the fact that these ads have made each of us wonder: Do I suffer from depression? Would I be happier and healthier if I simply consulted my physician and requested (insert drug name here)? 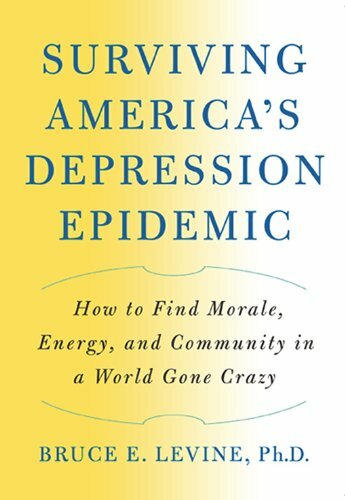 The rate of clinical depression in the U.S. has increased more than tenfold in the last fifty years. Is this epidemic properly being addressed by the insurance, pharmaceutical, and governmental powers-that-be or exacerbated by a failing system focused on instant results and high profit margins? Dr. Bruce E. Levine, a highly respected clinical psychologist, argues the latter and provides a compelling alternative approach to treating depression that makes lasting change more likely than with symptom-based treatment through medication.